Refined yet relaxed, Modloft’s Bowery Nightstand offers undeniable style for a cool, clean, contemporary aesthetic—and you won’t lose sleep over storage solutions either! 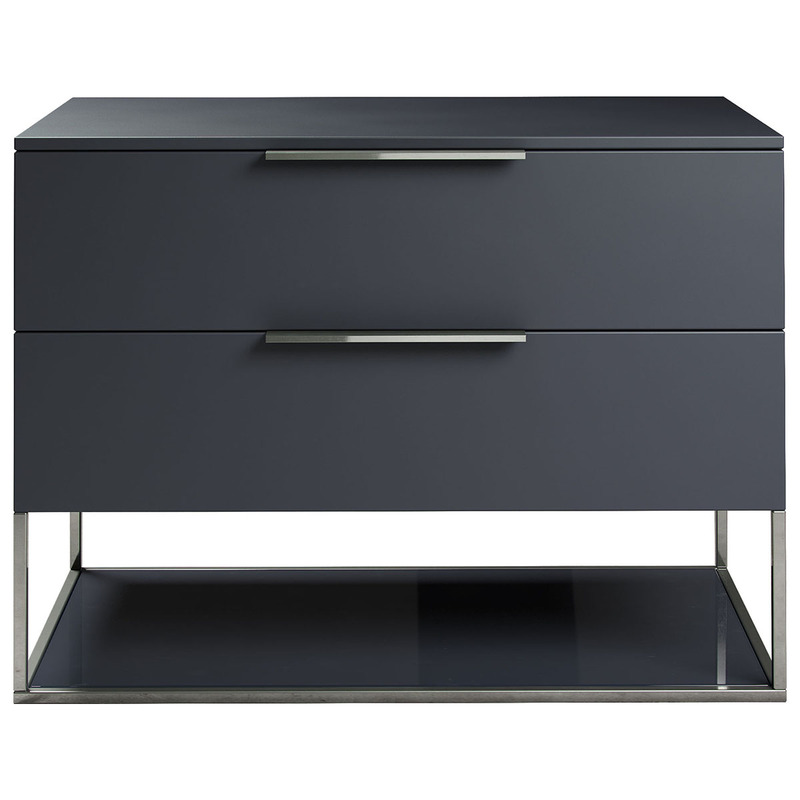 Outfitted with not only two generous soft-close drawers for all your nighttime necessities, but also a gleaming glass base, Bowery is designed by Guillermo Gonzalez in your choice of matte-lacquer finishes and accented by the subtle shine of polished-steel hardware. Elegant yet understated, the Bowery Nightstand is a fitting addition to a minimalist motif or a room with a bit of retro flare. Clean-lined contemporary design by Guillermo Gonzalez. Painted glass shelf for visual interest and extra storage space. 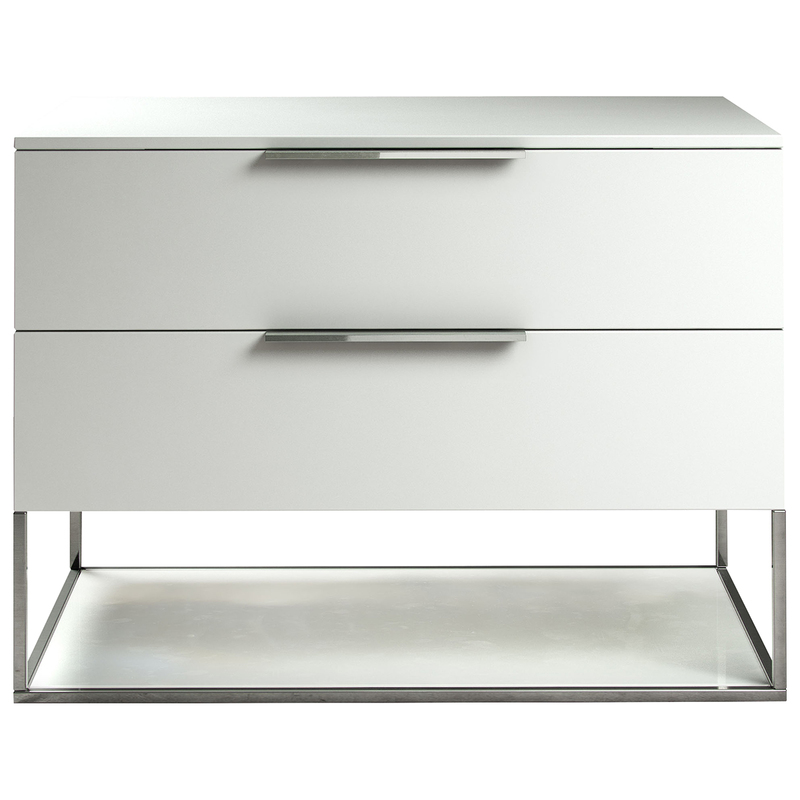 Two ample drawers feature European soft-close glides and sturdy polished-steel hardware. Your choice of matte-lacquer finishes. What is the nightstand made from? 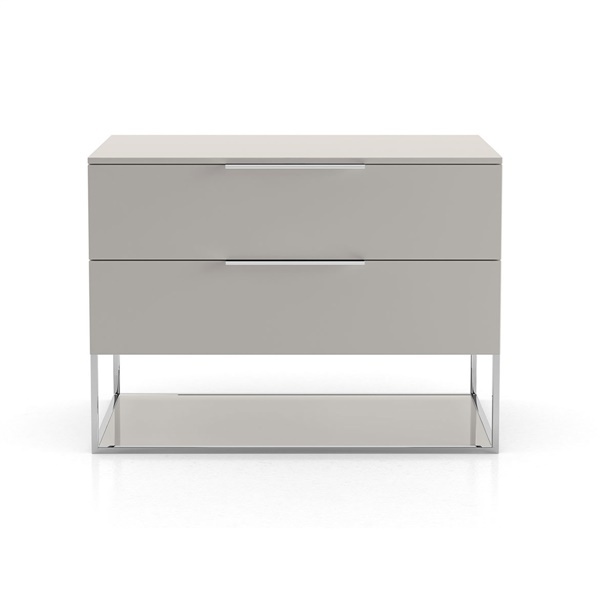 The Bowery Nightstand is made from a high density MDF and covered in a thick, high impact lacquer. The above answer is nonsense. If it is MEDIUM density fiberboard (i.e., MDF), it cannot be HIGH density.